You may have everything you need in one view. Google is no stranger to serving up contextual info and commands when they're relevant. But wouldn't it be nice if could curate and organize that info in a way that could help with a jam-packed schedule? It does now. The search firm is currently trotting out a "visual snapshot" for Assistant on mobile devices that provides the info and controls the AI helper believes you'll need to make it through the day. It prioritizes navigation, but scrolling down will show you your itinerary, reminders, reservations (such as flights and movies) and eventually less essential content like stock prices and Assistant action suggestions. As you'd expect, the data will vary based on the time of day, where you are and your recent history with Assistant. The feature will expand over time, Google said. 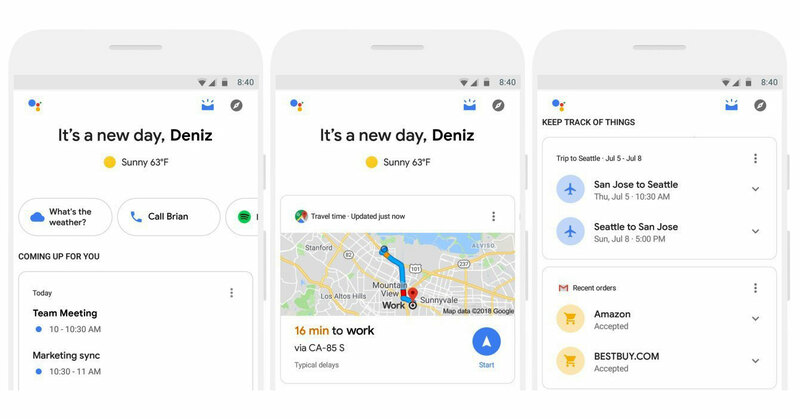 You'll eventually see an overview of your notes and to-do lists (whether or not they're from Google apps), a discovery section for new activities, music suggestions and even your parking spot. Clearly, Google is hoping that you'll have a reason to keep returning to Assistant over and over again, rather than remembering to juggle apps at the right times. You may have to wait a few days for the feature to show up, but you'll know when it's ready. There will be an inbox-like icon when you invoke Assistant on Android, while iOS users will see it as soon as they launch the Assistant app. It's not a radical departure for Google, especially if you're used to receiving "leave now" notifications and similar alerts, but the consolidation could prove supremely helpful for those days where the sheer number of tasks proves overwhelming.